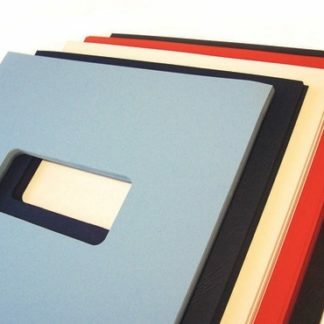 Plastic coil binding is one of the most popular binding methods due to its flexibility, durability, and the ability to open your coil bound book flat (or flip it completely back on itself). 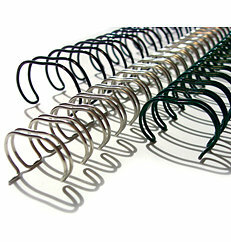 The coils are flexible and come in a variety of colors. 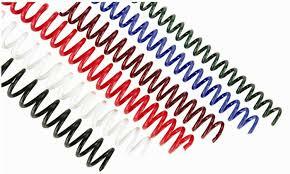 We sell plastic binding coils in 12” or 36” lengths, and in 4:1 pitch or 5:1 pitch, with 4:1 being the most popular. We stock the 36” coils in black, and all coils are available in 4:1 pitch; if you need other colors, or need to purchase your coils in 5:1 pitch, contact our office at 1-800-437-4787. One of our friendly sales staff will be happy to help you! If you need more information on how to select the right coils for your project, you can check out our Coil Selection and Color Guide. 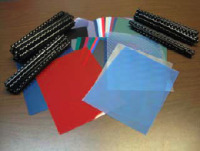 If you need help with understanding pitch, or determining what pitch coils you need, see our blog post on coil binding. 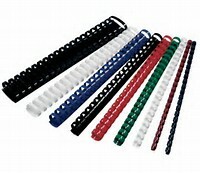 Don’t forget to purchase your crimpers!